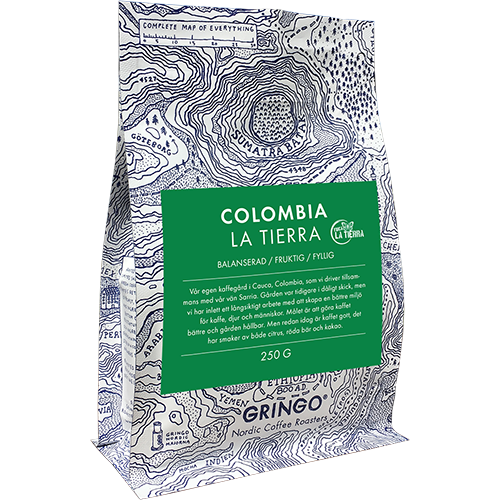 Gringo Colombia la Tierra coffee beans comes from the rosters own farm in Cauca, Colombia, which they run together with their friend Sarria. The farm was previously in poor condition, but long-term work has been started to create a better environment for coffee, animals and humans. The goal is to make the coffee better and the farm sustainable. But already today the coffee is good, it has flavors of both citrus, red berries and cocoa.